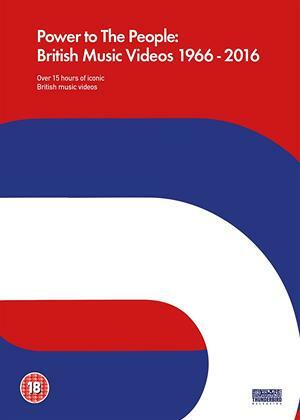 This is a unique collection of 200 landmark British music videos produced between 1966 and 2016. It was put together by a panel of music video filmmakers as part of a historical research project funded by the Arts and Humanities Research Council in collaboration with the British Film Institute. As well as digitally re-mastered videos of Flowered Up’s Weekender (1992) and Manfred Mann’s ‘The Mighty Quinn’ (1968), the collection includes influential and breakthrough videos for The Who, The Rolling Stones, Siouxsie & the Banshees, The Cure, Culture Club, Duran Duran, Ultravox, Eurythmics, The Human League, Sinead O’Connor, Joy Division, New Order, The Clash, Kate Bush, George Michael, Sade, The Stone Roses, Oasis, Manic Street Preachers, So Solid Crew, The Prodigy, Massive Attack, Orbital, Aphex Twin, Blur, Radiohead, Bjork, Tricky, PJ Harvey, Basement Jaxx, The Chemical Brothers, Dizzee Rascal, Wiley, Arctic Monkeys, Robbie Williams, M.I.A., and FKA Twigs.